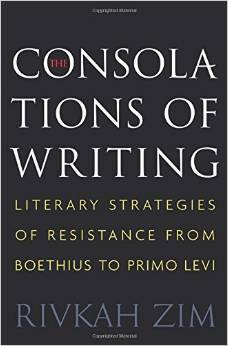 The Consolations of Writing is an elegant study of the politics of prison writing across linguistic and period boundaries. Zim juxtaposes different pairs of prisoners of conscience – Boethius, Thomas More, John Bunyan, Marie-Jeanne Roland, Oscar Wilde, Antonio Gramsci, Dietrich Bonhoeffer, Anne Frank and Primo Levi – who write to confront and perhaps to conquer their pain, loneliness and fear. Through diachronic pairings of texts, she illuminates recurrent features in prison writing and reveals a formalist set of concerns – the freedom of the mind, the ethics of testimony, and the redemptive power of the imagination – as well as the authors’ meditations on the struggles of earlier captives, both biblical and classical. In a series of remarkable formalist readings, Zim charts the afterlife of the Socratic tradition of spiritual exercises in post-classical prison narratives.